Brown Girls Do Ballet® believes that every Brown Ballerina with access to proper mentoring and training should have the opportunity to learn from, be inspired by, and be befriended by older, more experienced Brown Ballerinas. In this vein, we have elected to establish the Brown Ballerina Jr. and Youth Ambassador Programs. These young ladies are actively training, highly intelligent, and possess good leadership skills. Our Brown Ballerina Jr. Ambassadors (ages 10-12) and Brown Ballerina Youth Ambassadors (ages 13-17) programs bring together Brown Ballerinas in Training (BBT’s) and mentors of diverse backgrounds to build community, be the local faces of Brown Girls Do Ballet in their communities and to assist in moving our mission forward. Our program is designed to create opportunities for young dancers in training to be seen as leaders and to eventually become mentors to other BBT’s. Brown Ballerina Jr. and Youth Ambassadors are charged with spreading positivity about the role that diversity plays in the realm of classical ballet. They are the defensive line as it relates to combating negative stereotypes about dancers of color, and therefore will serve as role models for dancers around them. 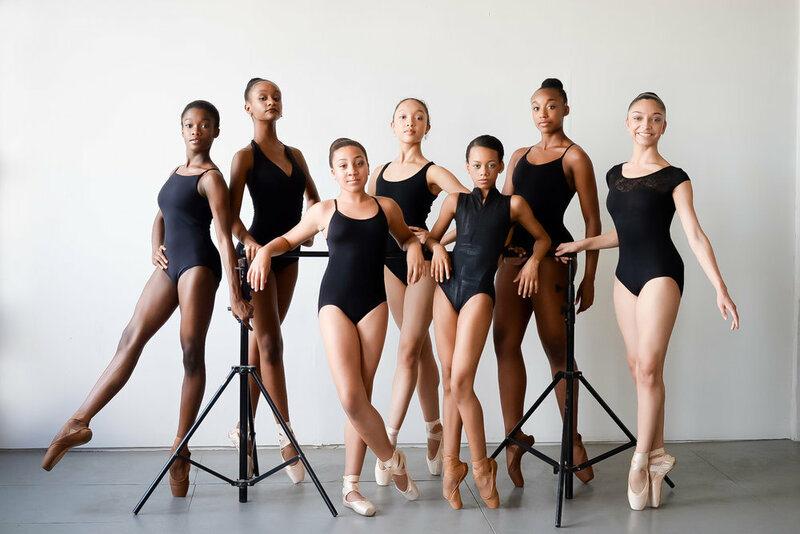 They are responsible for sharing the mission behind Brown Girls Do Ballet®. Our Youth Ambassadors, having more experience, take their role a step further by speaking at regional Brown Girls Do Ballet® functions, hosting and/or attending Brown Ballerina gatherings in their town or community, and personally committing to mentoring, via letters, emails, or in person “dates”, one or more younger Brown Ballerinas. Brown Ballerina Jr. and Youth Ambassadors must commit to campaign for one year. Each Ambassador is required to undergo training (held via Skype and/or Google Hangout) before beginning their duties. Are you interested in becoming a Brown Ballerina Ambassador? Are you poised and passionate about ballet? Are you looking to make positive changes in the ballet community? Recommendation Letters (name, title, organization/school, phone, and email). *Please note: Aspiring Jr. Ambassadors submit one (1) recommendation letter while Aspiring Youth Ambassadors must submit two (2) recommendation letters. Recommendations may come from dance teachers, school teachers, coaches, clergy leaders, camp counselors, and anyone who is familiar with your skills as a dancer and as a leader. A Word document is preferred. Applications for 2019 are now closed. Please check back October 1, 2019 to apply for the next cycle.